In the past few years, subscription boxes have taken over the web. From subscription boxes for Harry Potter fans to some more of the popular options, such as Birchbox and Walmart, honestly, if you can think of it, there’s a good chance there’s a box for it. And yes, while most of these subscription boxes will cost you money every month, there are a variety of companies that are willing to send out the first box for free, working just like a free trial. Some may ask for a few dollars for a few shipping, but it’s worth it, trust me. However, as long as you cancel before they can bill you for the next month, this is a great way to sample a ton of boxes before even committing a penny. In today’s post, I wanted to talk about the many subscription boxes online that offer at least the first month free, with no strings attached. And if you don’t know what these subscription boxes are, it’s basically a box of goodies revolved around a particular theme that’s sent to your home each month. So, for example, a candy box may send you 10-15 candy samples you may have never heard of every month, while a makeup box may revolve around makeup samples and/or anything related to it. Every company is unique, but honestly, if you can think of it, there’s probably a subscription box for it, as I said. Now, before I start, I want to let you know that you will need to enter your credit card, but as long as you remember to cancel before they send out the next box, it’s yours for free. Of course, if you like it, you can continue to subscribe as well! With the exception of a select few, I’m going to try my best to include only the 100% FREE boxes, not hundreds of others that so many other bloggers are promoting, misleading you with the title. If you’re a fan of freebies like me, then you’re going to love the free subscription boxes I’m about to list. Browse through the list and see if there’s anything you like. I’m sure there’s at least one! NOTE: As a quick note, I tried to include the boxes that are 100% free at the time of writing. You do need to enter your credit card, but just remember to cancel before billing period. If any of these offers change, do let me know and I will change. Thanks! Every month, Graze sends out its customers a variety of healthy snacks straight to your door. As a Graze member, they first want to know about your likes and dislikes, in which you will create a profile, and with this information, they can then personalize your snack box that’s shipped out monthly. Simply, you will only receive what you want. Graze doesn’t always offer free subscription boxes to first-time customers, but if you follow the link below, you could take advantage of a four snack sampler pack for FREE. Much like Graze, the Nature Box works in a similar way, offering a large variety of snacks free from artificial flavors, colors or sweeteners, corn syrup, hydrogenated oils and MSG, making it a wonderful choice if you like the idea of trying new things that are 100% natural. All first-time Nature Box members, at least according to the company, can try the first 30 days for free with NO strings attached. As long as you cancel within the first 30 days, you won’t be charged. If you do decide to continue, membership is only $30 per year and you can opt out at any time. Try the World is a cool concept that allows you to try a selection of gourmet foods, including ingredients to cook with, drinks, and/or snacks, from all around the world. 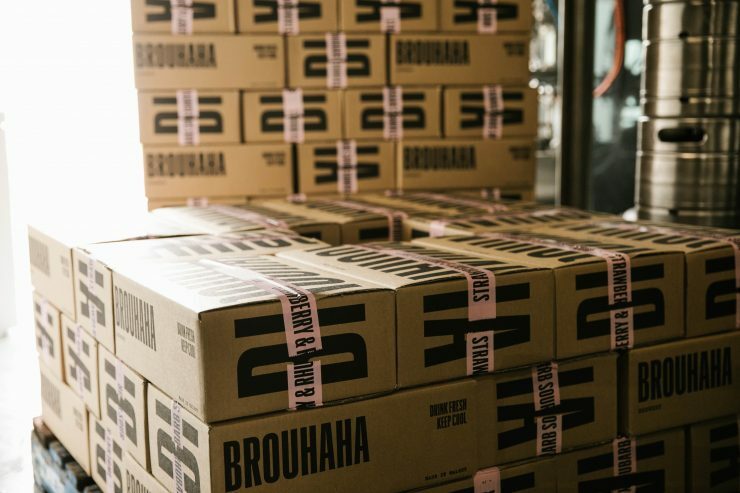 If you want to try new cultures and like the idea of exploring new tastes, then it’s worth at least trying one box for free if you follow this special link. On your free box page, select your plan, wait up to 45 days and explore the new cuisines inside of your box. Just remember, if you don’t cancel, the company will continue to bill your credit card. Blue Bottle Coffee works directly with farmers around the world, sourcing what they say is some of the most delicious and sustainable coffees they can find. As of now, customers can sample three options: the “single origin assortment,” the company’s more popular option, the blend assortment, or espresso assortment, a “melange of our espresso offerings.” The choice is yours. Much like many of these subscription box services, just make sure you cancel if you don’t like what you’re receiving to avoid any billing surprises. Curology is a 100% unique and personalized skincare service that helps target your skin condition, such as acne and other skin conditions, and sends you a unique “superbottle” that you cannot find on drugstore shelves. With the program, all customers receive a full plan created by a licensed dermatology provider, designed to contain three active ingredients. As your skin changes, so does your plan details. Curology offers a free trial for first-time customers; however, there is a small shipping and handling fee, but I do recommend it if you’re currently suffering from any skin condition. I didn’t know if I wanted to include this option here because you don’t technically get to keep the products as you need to send them back if you don’t want to pay anything, however, the company does offer a free 30-day trial if you want to sample the quality. With Gwynnie Bee, the company allows you to explore top clothing brands and collections, letting you add any styles that you like to your collection closet. Then, based on your collection, the company will send out the latest trends straight to your door, where you can wear the clothing for as long as you wish. Simply send back the clothes you don’t want to get a new shipment and/or keep your selection for a low cost. Shipping is always free, and as mentioned, Gwynnie Bee offers a 30-day trial to let you test out the service to see if it’s something you like. Just like Gwynnie Bee, nadineWEST will send you outfits to try on, all in the convenience of your own home. If you like what you’re wearing, then you’re welcomed to purchase it, but if not, you can send it back using the company’s free return shipping label. Items are said to cost between $10 to $30, a very affordable option. According to the website, each month features surprise outfits, customized to your liking that’s based on your profile, essentially helping you discover styles each month and letting experts learn more about your style. And for first-time customers, you can follow the link below and use the code NADINE to receive your first shipment without paying a CENT. This option is so close to being free, but I wanted to include it here because I do see a lot of value. Hubble, a new brand of contact lenses, wants to send you a high-quality, affordable contact lens you deserve. And if you’re a first-time customer, you can test out your first box, about 15 pairs, for FREE. You just need to cover a small $3 shipping and handling fee. Again, I know it’s not 100% free, but $3 for 15 pairs of contacts is a steal in my opinion, especially when it’s said the quality is that of a name brand. Public Goods mission is to make healthy products affordable for all, offering a simplistic product that comes straight from their factory with no middle man. With product ranging from personal care to household and food, Public Goods offers a FREE 30-day trial to first-time customers. All products use safe and healthy ingredients and you can cancel at any time. kidpik works just like nadineWEST mentioned, but as the name implies, it’s designed for children only. Delivered straight to your door, kidpik offers kids’ clothing, sizes 4-16, all based on your child’s online profile. Sending three mix and match outfits every one, two, or three months, including shoes, you can keep the entire box or send what you want back in a prepaid return envelope. The choice is yours. There’s NO obligation and first-time customers can test the service for seven days at no cost. Dia.com focuses on clothing sizes 14-32 and ships five styles to your doorstep, working just like kidpik, Gwynnie Bee and more. At first, the company will first want to know your style, fit and budget preferences, and based on this information, the company’s stylist will send you handpicked items to try on at home. After you receive your clothing, you can keep your favorites if you choose and return the rest in a prepaid envelope. When you try them out for the first time, it appears they will waive the first month’s $20 styling fee, but this could vary depending on the promotion. RocksBox is a jewelry rental subscription box that sends out three pieces of jewelry at a time, letting you keep it for as long as you want. When you’re done wearing it, simply send it back for a new box. You can also purchase what you like with your monthly membership credit. The website has thousands of exclusive and designer styles, all picked out by your personal stylist based on your profile setting. The company does offer a free box to new members, but in some cases, you need to use a promo code. Regardless, follow the link below to see if you can take advantage of a free month. The Walmart Beauty Box is not free, but I like to recommend it whenever I can because it’s only $5, a small investment that gets you quite a bit. Every season, Walmart sends out a beauty box packed with beauty samples sold from Walmart, all of which is hand-selected based on your profile. Seeing Walmart is the world’s largest retailer, many brands want this exposure, hence, the smaller fee. Again, it’s not free, but the $5 investment to cover shipment is well worth this low-cost subscription box. The Honest Company, founded by Jessica Alba, wanted parents to make the right choices in terms of safe options, believing what you put on your body matters a lot. All of her company’s products are non-toxic and 100% safe. And while the trial offer isn’t 100% free, again, I find the free discovery kit to be well worth the shipping and handling cost of $5.95. Inside the free diapers and wipes discovery kit, first-time subscribers receive five diapers and 10 wipes, all delivered to your door. Just make sure you cancel within seven days to avoid the future shipment fees. You can cancel at any time. FilterEasy, as the name implies, makes it “easy” to remember to change your air filters. Enter your home’s filter size, set up automatic delivery and never again do you have to worry about remembering to change your home’s air filters. They send it, you just need to replace it. For first-time customers, the first shipment is free, including shipping, however, in some cases, you may need a promotional code. This does vary. There’s no commitment and you can cancel at any time. The Book of the Month club will select five books that you can choose from each month for $14.99. However, if you’re a first-time customer, you can enjoy the first book for free, including shipping. Of course, this is a recurring charge, so remember, if you don’t want to continue to receive books, then you will want to at least set a reminder to cancel before they charge. You will be able to see the date they will charge your account on the order page before committing. Like the clothing subscription boxes I mentioned earlier, I wanted to include Gamefly because it works in the same, but only with video games and/or movies. Like Netflix, Gamefly lets you pick from more than 9,000 titles, letting you keep it for as long as you want. Once you return it, the company will immediately send out your next game/movie in your queue. While it won’t be random, Gamefly does offer a 30-day free trial for first-time customers and is considered to be a fantastic choice for video game lovers. 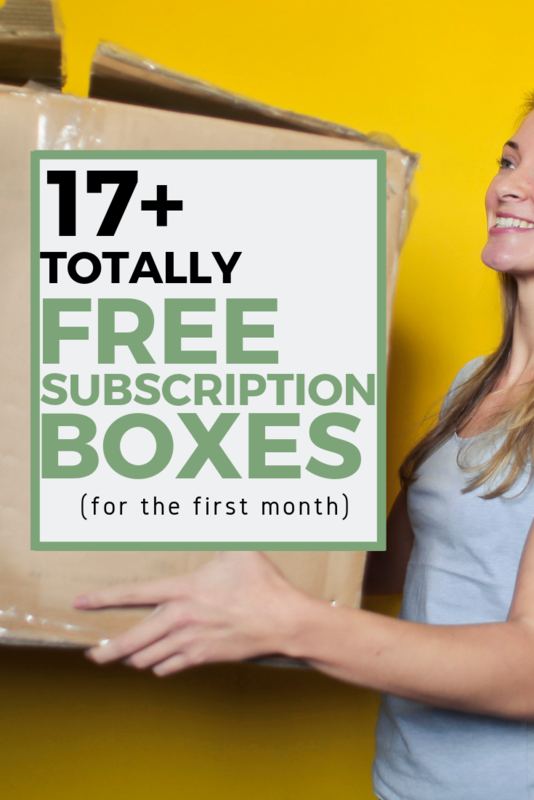 There are a TON of subscription box services, but I wanted to include the totally free subscription box companies. Yes, while some do cost a few dollars, I really feel as it’s worth the investment. Plus, it really is hard to find a true freebie in the subscription box world, even if you’re willing to hand over your credit card number. Now, remember that in order to take advantage of these freebies, you will need to pull out your credit card, but you won’t be billed until your billing period starts. This can often be found in your terms and conditions when you sign up. If you want to be safe, either set up a reminder on your phone and/or consider using a one-time virtual credit card number through your provider. These cards are active, connecting to your main card on file, but they deactivate after a certain period of time, making it a great option for free trials. In the meantime, I will try my best to update this list, but if you know of any I’m missing, do let me know!